As Sir David Attenborough pointed out at the opening of the ongoing Climate COP24 in Katowice, there is no time to lose when it comes to halting global warming. Climate change is here and its effects will grow stronger in the coming decades. Covering thousands of kilometres of coastal zone and with a large share of low-lying areas, the North Sea Region is very vulnerable to flooding from rising sea levels and torrential rains. Other severe consequences of climate change threaten the region as well including drought, extreme weather events, and salinisation of soils and drinking water. Adapting to climate change is therefore of high priority in the North Sea Region Programme. 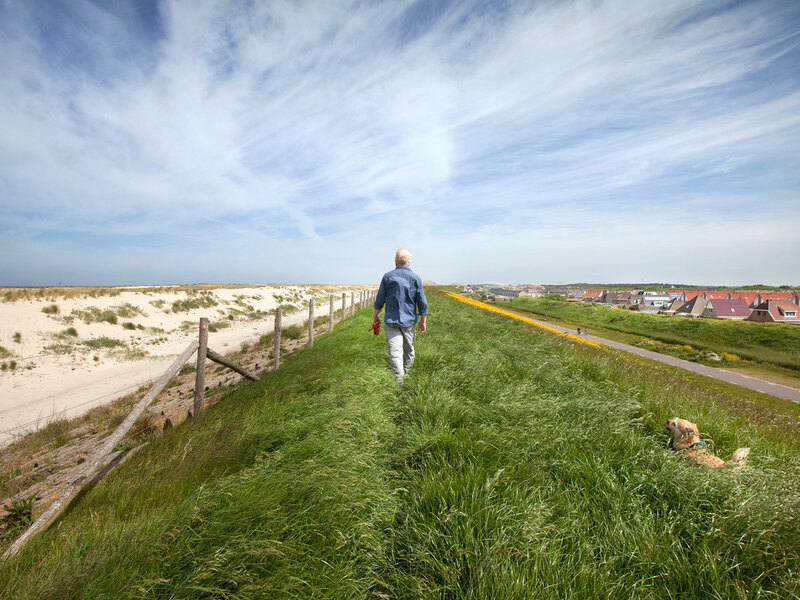 Eight North Sea Region projects are currently addressing the future impacts of global warming. Their common hallmark is the transnational cooperation and field testing of new solutions in pilots across the region, providing the evidence needed to implement new practices and policies. Demonstrating feasibility and cost-effectiveness help fast-track the adoption of new solutions and keep pace with the increasing instability of our climate. Economic damage caused by flooding is forecast to rise to €20 billion a year by the 2020s, €46 billion by the 2050s, and €98 billion by the 2080s at European level. 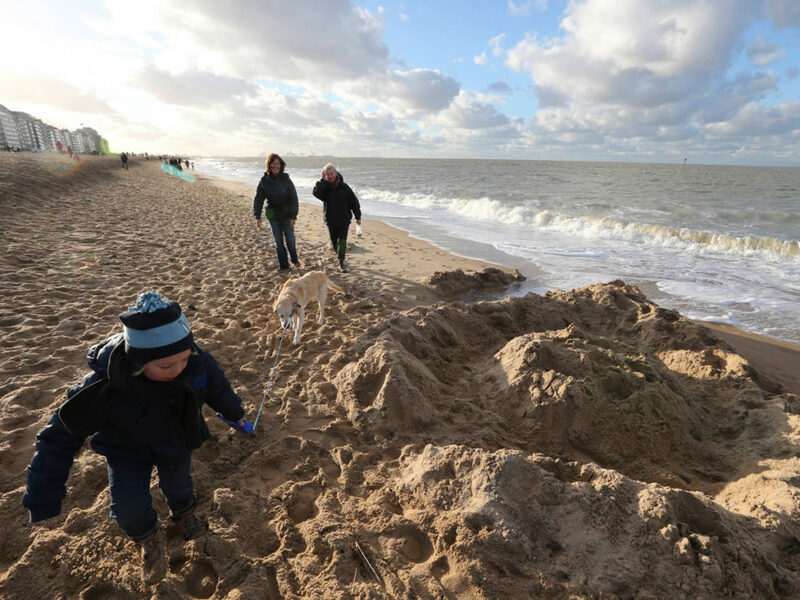 Many of the North Sea Region’s dykes, sluices and dams are getting old and they were not designed to meet the level of threat that is now in the pipeline. Thus there is a clear need to upgrade these vital assets to provide stronger protection against storm surges and flash floods. For the first time, the FAIR project brings together major flood protection asset managers in the region to jointly investigate the most robust and cost-efficient options for keeping flood defence infrastructure in good shape, optimising the massive investments that lie ahead. However, upgrading flood defence assets is not going to be enough to tackle the full scale of future climate impacts including floods and many other effects; hence there is a constant quest for new ways of adapting to climate change – ways that are flexible, robust, cost-efficient, and jointly address the entire spectrum of anticipated problems. The idea of using nature-based solutions in climate adaptation is gaining ground, with a growing body of evidence demonstrating the great power of natural ecosystems in both keeping emissions at bay and protecting us from the adverse consequences of climate change. In addition to tackling extreme weather events, nature-based approaches can generate additional assets such as more space for nature and increase liveability in cities. Building with Nature trailblazes the use of natural landscape features such as sandy shores, dunes and wetlands to build flood resilience. The project runs living labs in seven coastal sites and six sites located at estuaries, rivers and lakes. For example, at the Houtrib dyke, in the Netherlands, sandy shores are chosen as part of the restoration programme and are closely monitored. Blue-green infrastructure (BGI) helps large cities cope with weather extremes like cloudbursts and droughts and may also provide green spaces for humans and nature to thrive. Examples of BGI include green corridors, permeable paving, bio-swales, and rainwater harvesting. In the BEGIN project, 10 cities and 6 research institutions jointly explore and trial BGI solutions in large cities across the North Sea Region. 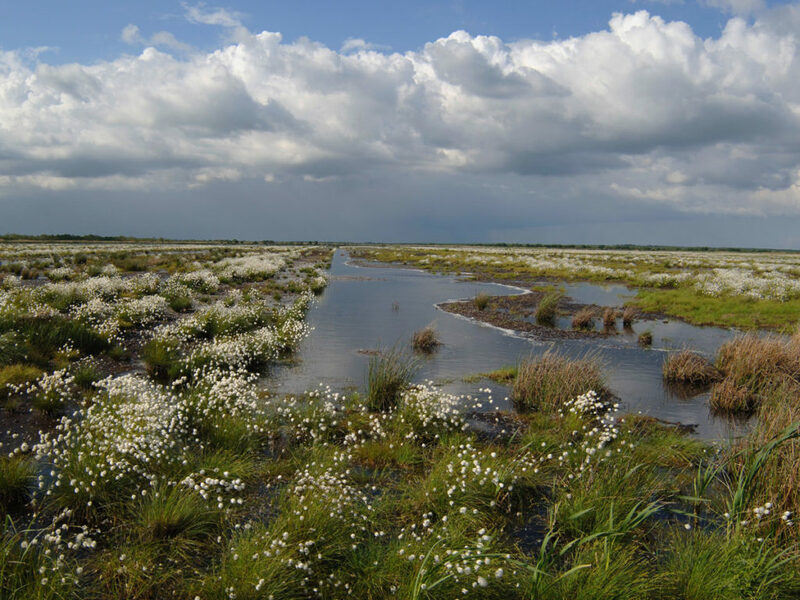 Lille Vildmose (“Little wild bog”), a raised bog in Northern Denmark. One of the CANAPE project pilot sites. Wetlands such as fens and bogs are natural systems with great carbon storage and water retention capacity. CANAPE restores drained and degraded wetlands that can function as flexible buffers, storing excess water in times of high precipitation and releasing it during periods of drought whilst helping to keep carbon safely in the ground. The project explores how paludiculture – growing crops adapted to wetlands – can provide economic value whilst maintaining the vital ecosystem services. As an extra bonus, restored wetlands can provide much-needed wildlife habitat. The problems caused by climate change are diverse and complex, requiring multi-disciplinary teams and cooperation between entities otherwise operating independently of each other. The transnational climate adaptation projects already benefit from cooperation and knowledge exchange between partner organisations from different countries. Also, projects often jointly develop approaches to make climate adaptation more collaborative and inclusive at regional and local level. For example, the FRAMES project zooms in on efficient and safe handling of flooding episodes via a Multi-Layer Safety (MLS) approach. This includes the full battery of defences and measures – involvement of communities and stakeholders, improved infrastructure and spatial planning, and building of authorities’ response capacity. Mid-size cities and towns in the North Sea Region often lack proper flood risk and climate hazard maps that can guide their efforts and help them build a robust climate resilience strategy. And to realise their strategies, cities need to secure buy-in from the local communities. CATCH develops tools for towns and mid-size cities supporting them to identify specific climate-related risks and engage in a dialogue with citizens and stakeholders about future scenarios and how to handle them. To prepare for climate change, we need to properly understand the changes it will cause, and there are many question marks left. For example, the uppermost soil subsurface is a largely unexplored zone which plays an invisible but very important role in determining the effects of climate change, including flooding, drought, and saltwater intrusion into soil and groundwater. TOPSOIL develops and applies innovative, high-end technology to uncover the secret characteristics of the soil and understand how water subsurface water flows will react to global warming; this enables authorities to respond adequately and to take advantage of opportunities to safely store excess water in underground aquifers. TOPSOIL will present its aims and activities at a side event organised by Interact at the COP24 in Katowice on 8 December 2018. Learning to live with the changed conditions that will result from climate change is part and parcel of climate adaptation. For example, rising sea levels will increasingly cause saltwater intrusion in farmland soils. This is poised to become a serious problem for farmers and local food industries, with significant repercussions for local economies. 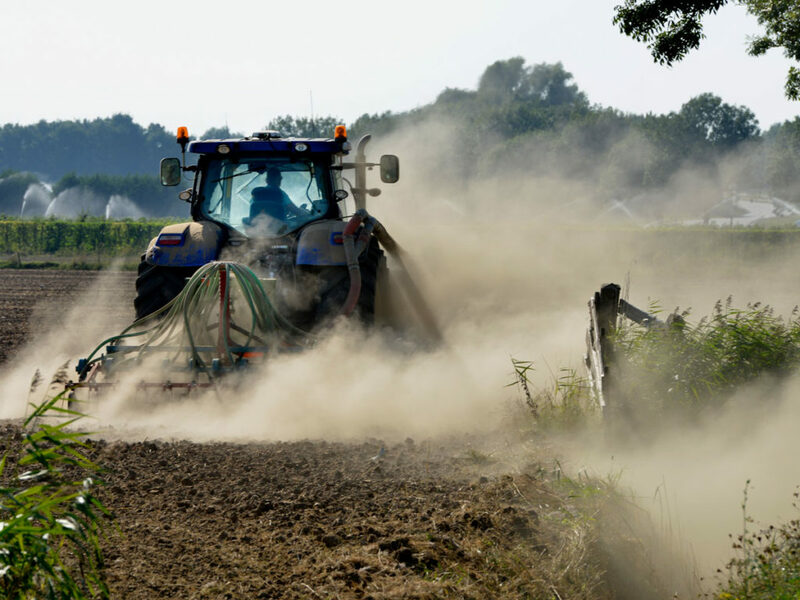 In response to this scenario, the SalFar project develops crops and farming methods designed for saline farming – farming on soils damaged by saltwater and rendered useless for traditional farm crops. The need to bolster Europe against climate change is becoming increasingly clear. On 14 November, The European Commission called for stronger climate adaptation efforts. On 20 November, the European Court of Auditors echoed this by stressing the urgency of stepping up Europe’s flood defences. For example, more than twice as many flash floods of medium to large magnitude have been registered in recent years compared to the late 1980s. Although it is a pressing issue, climate adaptation does not happen overnight. Fortunately, dealing with climate change has long been a regional priority, and ongoing North Sea Region projects are now able to build further on the results from previous ones. For example, Cliwat (2007-213) developed innovative, airborne data acquisition techniques allowing the collection of huge soil datasets in just a week. These techniques are now being applied and further refined by the TOPSOIL project. At the North Sea Region Programme, we are proud to be part of the solution to one of the greatest challenges faced by our region and the world. This article was written by Anne-Sofie Forfang, Project Communication Advisor at the North Sea Region Programme.